CHIREDZI - Over 200 cattle have died so far this year in Chiredzi district as a result of the drought caused by El Nino with areas in Chiredzi South being the most affected. 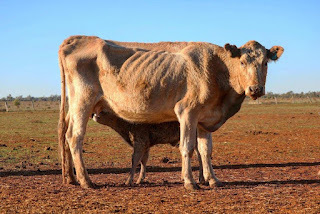 Chiredzi District Administrator (DA) Lovemore Chisema said the cattle started dying in December 2018 but the numbers are now increasing on a daily basis. He attributed the deaths to lack of grazing pastures due to drought. He said 188 deaths were officially recorded as at 29 January 2019 but many other cattle deaths are not reported. "The District is now recording drought induced cattle deaths on a daily basis. This is because in areas mostly in Chiredzi South there are no pastures since they did not receive any meaningful rains. Officially 188 deaths were recorded as at 29 January 2019 but there are many cases which go unreported meaning that the numbers are high. “We wait to hear if Central Government will give us assistance in the form of supplementary feeding,” said Chisema. The MP for Chiredzi South, Kallisto Gwanetsa said the drought situation in his constituency is dire as people are losing cattle on a daily basis. He said the area from Runde to Limpopo is yet to receive rains and boreholes are drying up worsening the situation. He urged cattle owners to de-stock as a way of minimising loss. "The situation in my constituency is dire, cattle is dying on a daily basis. The area from Runde to Limpopo did not receive any meaningful rains this season. I am conducting meetings with village heads and councillors to sensitise them on the drought and to urge them to persuade villagers to de-stock. I am also advising them to buy supplementary feeding to minimise loss" said Gwanetsa. Chief Tshovani said there is need for Government intervention to save people as well as cattle from dying due to the prevailing drought. He said communities under his area did not plant any crop since they did not receive any rains. El Nino is a climatic phenomenon that occurs above the Pacific Ocean every five years and causes extreme weather conditions such as droughts and floods in many regions of the world. Chiredzi has the highest number of cattle in Masvingo province.